Zebra’s feature-rich, competitively priced GC420t desktop printer brings performance and reliability to many low- to medium-volume, thermal transfer printing applications. The printer’s space-saving design contains a powerful 32-bit processor for fast label throughput; a large memory for more graphics storage, longer label formats, and faster processing. 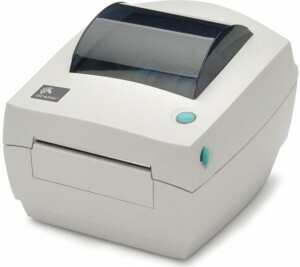 It also includes both EPL™ and powerful ZPL® programming languages—making it easy to integrate with other Zebra printers—while its triple connectivity option offers system integration flexibility. Peeler/dispenser option extends the GC420t printer’s application versatility. The GC420t delivers all the quality, durability and value you expect from Zebra.